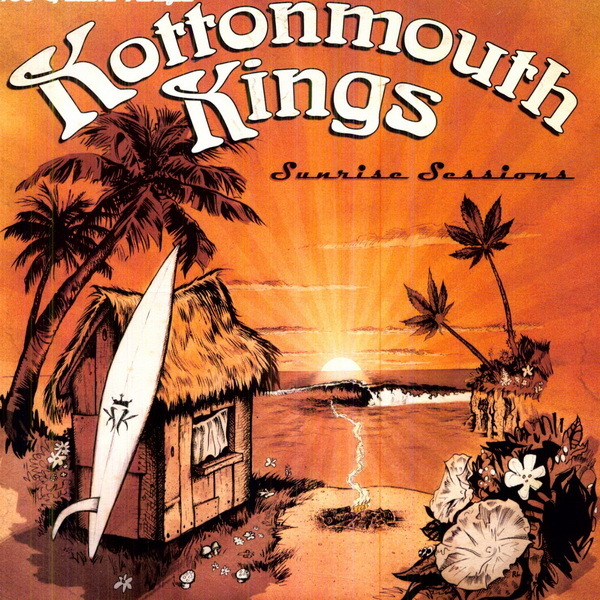 Sunrise Sessions font here refers to the font used in the album cover of Sunrise Sessions, which is the twelfth studio album by the American rap rock group Kottonmouth Kings. The hippie look lettering used for the group title on the album cover is very similar to a font named Arnold Boecklin MN. The font is a commercial one and you can view more details about it here. In addition to Sunrise Sessions, Arnold Boecklin typeface is also used in the following logos, movie posters or album covers etc., including: Fare Forward Voyagers, The Moody Blues, That ’70s Show, Back to Bedlam.